This week’s Danger Gal Friday profile goes to Trixie as played by Christina Ricci in the re-imagining of the Speed Racer cartoon in the recent-ish movie. Last year, before the movie was release, I pegged Trixie as a Danger Gal Maybe with a wait-and-see episode. Well, thanks to Netflix, I finally saw Speed Racer and I have to say that I like the updating of this character. I would love to see a movie with a female character like Speed as the main character, but I’m always optimistic when female characters are updated with more dimension. Trixie evidently isn’t just the girlfriend of Speed Racer, but an important member of the Racer family’s racing team. Speed clearly respects her abilities. 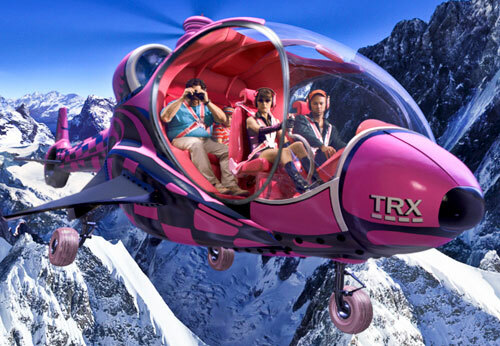 We get to see Trixie coming to Speed’s rescue, racing Taejo Togokahn’s car, repairing engines, and flying a helicopter among other things. As a side note, one character did have to strip down to skivvies in this movie — and for once it wasn’t a woman. Nope, this time it was Matthew Fox as Racer X. Never in my girlish crush did I ever expect to see Racer X in his boxers and all the while fighting a ninja! First Trixie flying, racing, and rebuilding engines. Then Racer X in his boxers. Can I watch the movie again?